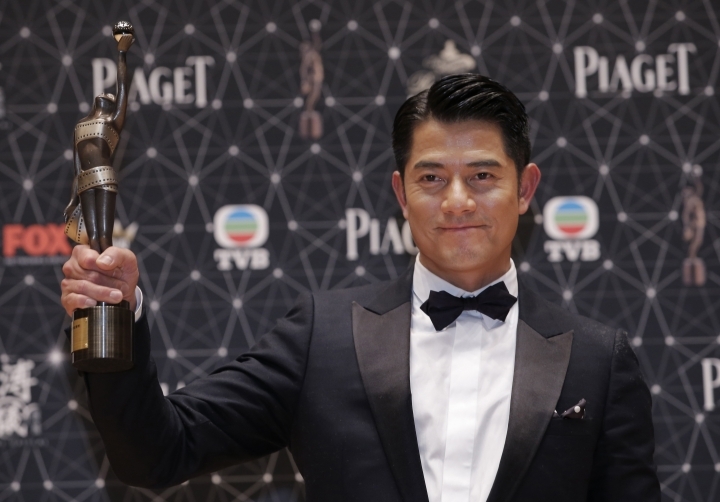 HONG KONG — Hong Kong superstar Aaron Kwok is a dad. Kwok shared the good news with fans on his social media page on Friday. He posted a photo of a newborn baby's hand, held by mom and dad. The caption reads "happiness, delicate, grateful! Us three!" followed by a happy face emoji and a baby emoji. Another photo shows a pair of pink footprints, with the title "Welcome - Little One." Kwok, 51, did not disclose the baby's birthdate or gender. The "Cold War" star married a young model from China in April.